Aging can take its toll on the lips and mouth. Skin loses elasticity and facial tissues lose volume, resulting in lips that appear thin, flat, or traced in vertical lines. Restoring a soft, smooth, youthful look to the lips doesn’t have to mean dramatic changes. With VOLBELLA™ XC, we can achieve a subtle, natural boost in lip volume and minimize vertical lines for up to 1 year. VOLBELLA’s proprietary VYCROSS™ technology blends hyaluronic acid particles of different molecular weights to achieve a product that is both soft and durable. VOLBELLA is also formulated with a lower concentration of hyaluronic acid, which helps it spread optimally to smooth fine vertical lip lines while also providing a long-lasting, subtle boost in lip volume. VOLBELLA injections take about 15 minutes to perform and achieve instant improvements in lip contour. 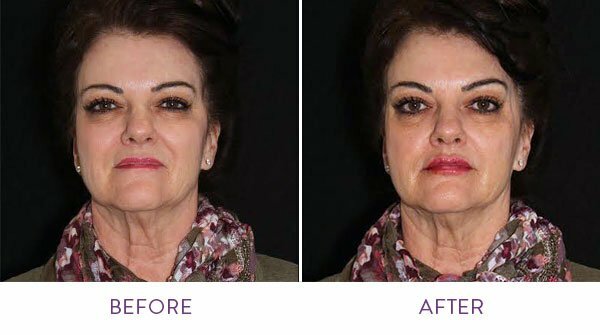 Our Denver patients typically experience very little bruising and swelling, and final results are in place within 2 weeks of treatment. The rejuvenating effects of VOLBELLA last up to 1 year, after which the hyaluronic acid gel is safely and gradually absorbed by the body. A quick follow up treatment can maintain results as desired. Getting gorgeous lip enhancement results with VOLBELLA requires an expert touch. 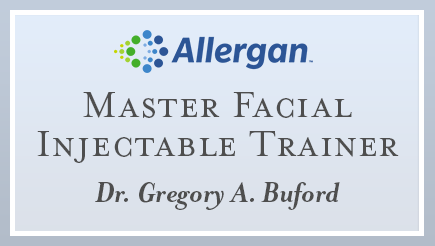 As a designated Allergan Master Facial Injectables Trainer, Dr. Gregory Buford is nationally recognized for his skill and experience and has taught many other plastic surgeons how to achieve safe, beautiful results with injectable BOTOX and fillers. He was also one of the first plastic surgeons in Denver to offer VOLBELLA injections. Would you like to have softer, plumper and smoother lips in an instant? Contact us today for more information about VOLBELLA or to schedule a consultation with Dr. Buford and his Physician Assistant Kaitlyn.